People are always making grandiose statements about music, like this person is bigger than The Beatles or so and so is the best artist ever. 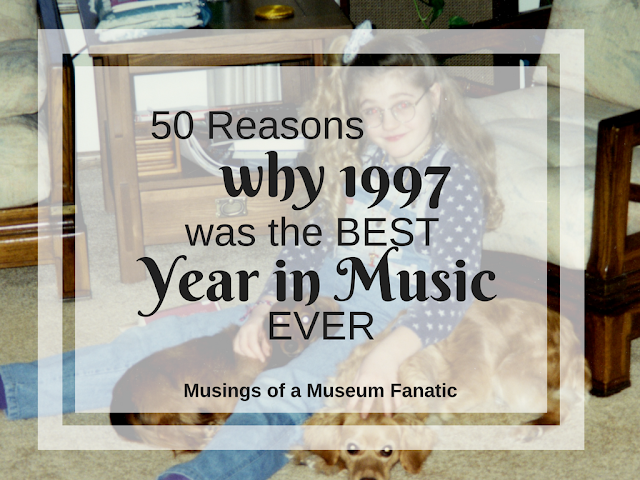 I'm here to make one too but in my case it's true ... 1997 was the best year in music ever. I even had proof to back it up! 50 reasons why 1997 was the best year in music ever in fact. So many amazing songs and albums were released that year it was ridiculousness. There were even more than made my list too. I tried to stick to one song per artist. If I didn't the list would be a quarter Backstreet Boys and Spice Girls songs because 1997 was their year let's be honest. Some of these songs I'll be honest are favorites and I didn't even realize that they were released in 1997 either, just goes to show you how amazing 1997 music is. What's your favorite song from 1997?